A still mysterious financial fraud perpetrated on students of Merrimack College resulted in a high court ruling last week on agency law with important implications for tort liability and the equitable doctrine of in pari delicto. Students at Merrimack College Orientation in 2015. Merrimack is located in North Andover, Massachusetts (where the recent gas explosions occurred). Merrimack is a small liberal arts college founded in the Roman Catholic tradition after World War II especially to serve returning vets. 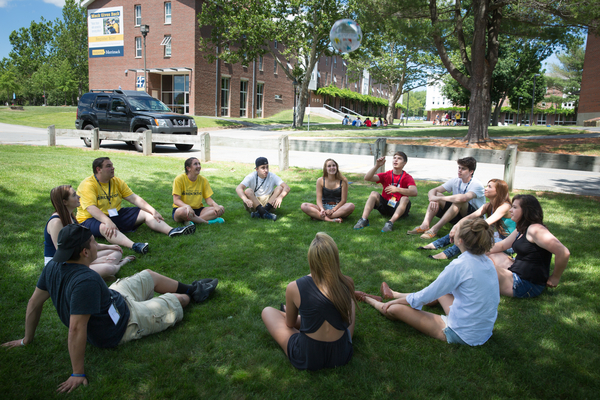 Despite the depressed market in higher education, Merrimack this fall reported a record-size freshman class and plans to join Division I athletics. In 2014, Merrimack financial aid director Christine Mordach pleaded guilty to federal criminal fraud charges, and in 2015, she was sentenced to a year’s imprisonment and ordered to pay $1.5 million in restitution. She had been accused of perpetrating a scheme that replaced college scholarship awards with federal loan money on the college books. The scheme came to light when a new accounting system started to inform students of federal Perkins debts they did not know they had. Why Mordach did what she did is the mystery. The scheme shored up the college’s bottom line through lean times, because money paid out of college coffers in grants was replaced with borrowed dollars that students would be on the hook to pay back. But there was no evidence that Mordach was ordered to execute the scheme. To the contrary, she seems to have taken steps to conceal it, which she did so well that Merrimack auditor KPMG gave the college a clean bill of health while the fraud was ongoing. That brings us to the instant civil case. 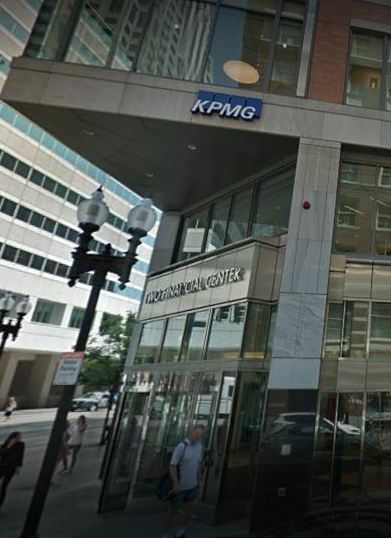 Merrimack seeks to recover against KPMG on a range of theories, including breach of contract, professional malpractice, and negligent misrepresentation, for KPMG’s failure to detect the fraud. KPMG won dismissal in the superior court upon the doctrine of in pari delicto. Literally Latin for “in equal fault,” in pari delicto translates as the clean hands doctrine of equity. In tort, the doctrine prevents a tortfeasor from recovering against a co-tortfeasor or innocent party—such as a bank robber who blames a co-conspirator for his bullet wound, or the burned arsonist who would blame firefighters for too slow a rescue. Merrimack appealed the dismissal to the Massachusetts Supreme Judicial Court (SJC). Being a doctrine in equity, rather than a rule, in pari delicto calls for a fact-sensitive application, operating as a function of the parties’ relative moral blameworthiness. Thus in a 1985 case discussed in the instant opinion, the U.S. Supreme Court allowed would-be beneficiaries of insider trading to sue their tipsters for losses resulting from misinformation, even if both plaintiffs and defendants were wrongdoers. The plaintiffs’ trading upon a failure to disclose was not “substantially equal” in moral culpability to the tipsters’ illegal insider disclosures, the Court decided, and public policy favored holding the tipsters to civil account. KPMG argues more than just Merrimack’s benefit derived from a favorable financial picture. KPMG argued successfully in the superior court that Mordach’s actions must be imputed strictly to Merrimack upon the tort-and-agency doctrine of respondeat superior, because Mordach was an employee of Merrimack and acted within the scope of her employment. So if intentional fraud is imputed to Merrimack, then in pari delicto precludes recovery against KPMG for the diminished culpability state of mere negligence. On the one hand, the SJC reasoned, look at the problem from the perspective of Merrimack students: Were they to have sued Merrimack—not actually necessary, as the college spent $6 million to square its affairs with students—there is little doubt that Mordach’s intentional tort would have imputed strictly, even to an otherwise innocent Merrimack, through respondeat superior. From where the student sits, the fraud was perpetrated by Merrimack’s financial aid office: Mordach and college, one and the same. Merrimack might have sought indemnity from employee Mordach, but that’s always true in respondeat superior cases (notwithstanding employment contract). On the other hand, the SJC reasoned, look at the problem from the perspective of Merrimack College: Strict liability through the action of respondeat superior imputes liability irrespective of fault and certainly says nothing about moral blameworthiness. Merrimack as liable to students is never adjudicated as bearing fault. From a moral standpoint, Merrimack is at worst guilty of neglect, or failure to act, such as by negligent supervision of its financial-aid director. So notwithstanding strict legal liability, Merrimack’s negligence would implicate moral blameworthiness of a magnitude less than what the college alleges of KPMG. When co-tortfeasors both commit an intentional tort, in pari delicto precludes liability of one to the other. But that’s not necessarily so when merely negligent co-tortfeasors A and B unwittingly combine efforts to cause loss to C, incidentally causing loss also to B. In the subsequent action B v. A, the old contributory negligence rule, as a complete defense, would have effectuated the clean-hands doctrine. But contemporary tort law commits negligent co-tortfeasors to comparative-fault analysis. In a modified-comparative-fault jurisdiction such as Massachusetts, B may recover from A if A bore more fault than B, and B’s recovery is reduced in proportion to B’s own share of fault. The SJC decided that moral blameworthiness, not legal liability exposure, must be the guiding principle for an equitable doctrine. Merrimack might be on the hook hypothetically for respondeat superior liability, and even negligent supervision. But neither of those rules suggests moral blameworthiness greater than KPMG’s. The case might be different if Mordach has been a senior executive of Merrimack; she was not. And there is no evidence that Merrimack knew what Mordach was up to, much less directed her actions. So in the absence of an intentional tortfeasor between Merrimack and KPMG, in pari delicto does not apply. If Merrimack’s negligence contributed to its own losses, that will come out in the comparative-fault wash. That conclusion is bolstered by a comparative-fault-like mechanism in Massachusetts statute that applies specifically to client-versus-auditor malpractice claims. Accordingly, the SJC reversed and remanded. The SJC received amicus briefs from the American Institute of Certified Public Accountants, the Massachusetts Academy of Trial Attorneys (MATA), and the Chelsea Housing Authority. For the MATA, attorney Jeffrey Nolan argued, like in the U.S. Supreme Court insider trading case, that liability exposure is needed to hold KPMG accountable, especially in a market dominated by the Big Four accounting firms. The housing authority also backed Merrimack, attorney Susan Whalen recounting her client’s victimization by internal misconduct that went undetected by accountants. She asserted that in pari delicto has “the perverse result of de facto immunity for gross levels of negligence” by auditors (Law360, subscription required). All of that is not to say that KPMG will be held liable. Besides fault yet to be proved, the SJC affirmed the superior court’s leave for KPMG to amend its answer, adding a defense of release. Ut victoriam tyranne? The case is Merrimack College v. KPMG LLP, No. SJC-12434 (Mass. Sept. 27, 2018). 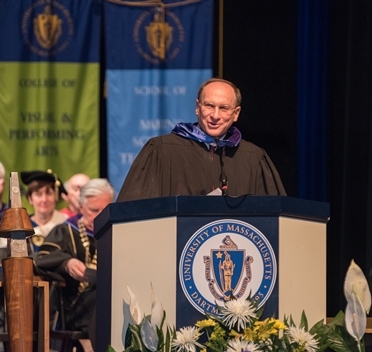 The opinion was authored by Chief Justice Ralph D. Gants, a graduate of Harvard undergrad and law, one-time AUSA, and 2016 recipient of an honorary law degree from UMass Law School.